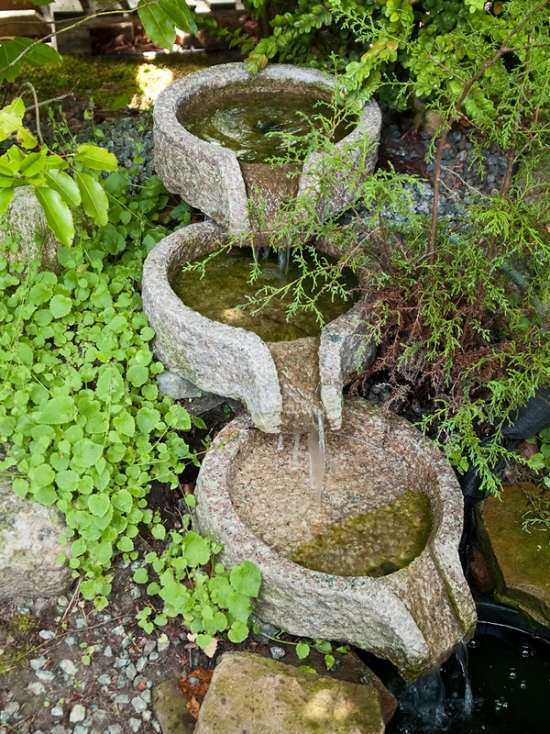 The garden water features are not only beautiful and fashionable, but also useful. 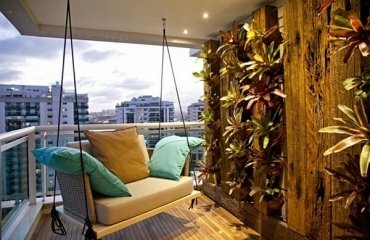 They are an important element that ensures the good mood and well-being, also not only on warm summer days. 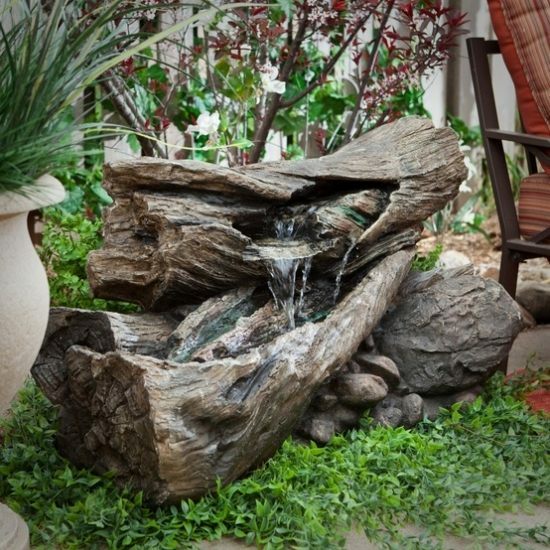 The soothing water sound has a therapeutic effect on human health. 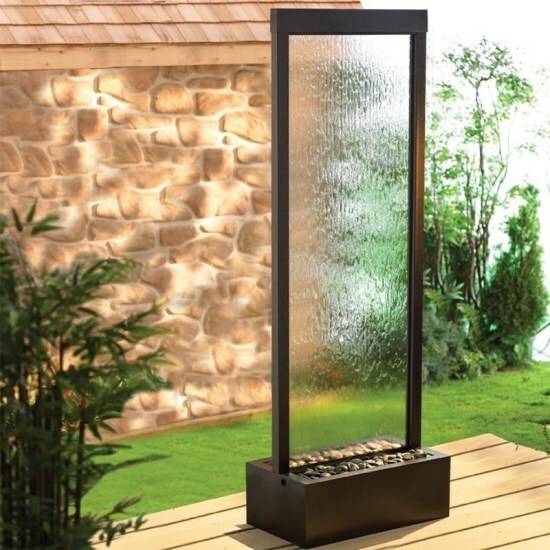 Thanks to the new technologies today are patio and garden water features in every shape and size, available from high-quality high-tech or traditional materials. 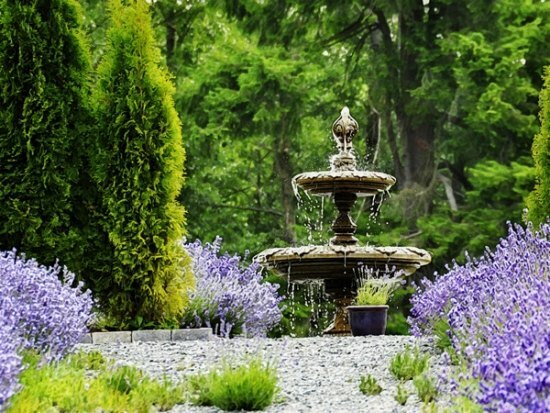 Be sure that the fountain will soon become your favorite of your family. The water always has a strong attraction to people. 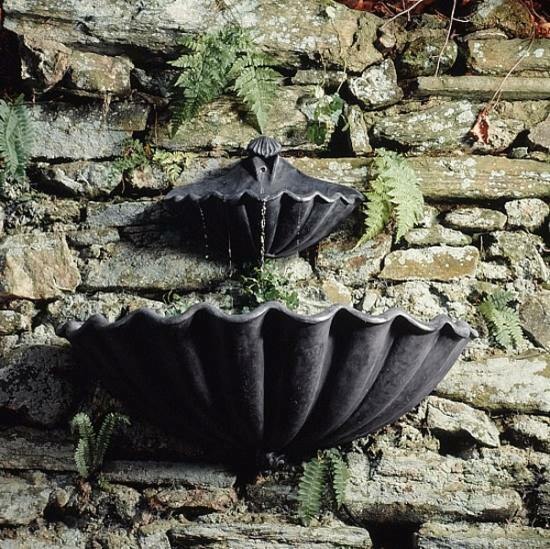 Modern or classic garden water features? 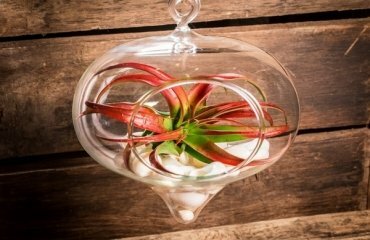 You can choose between a variety of designs. 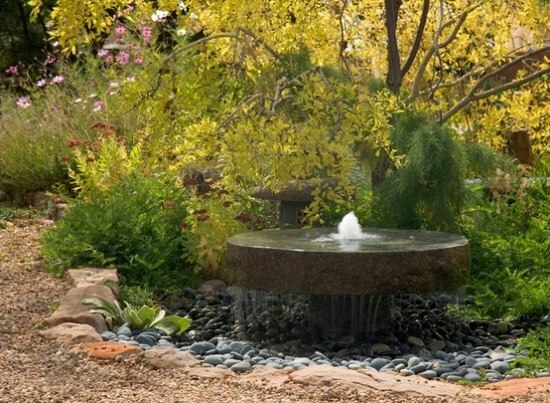 The modern garden water features require no connection, but have quiet and controllable pumps with guaranteed durability. Most are delivered as complete systems. 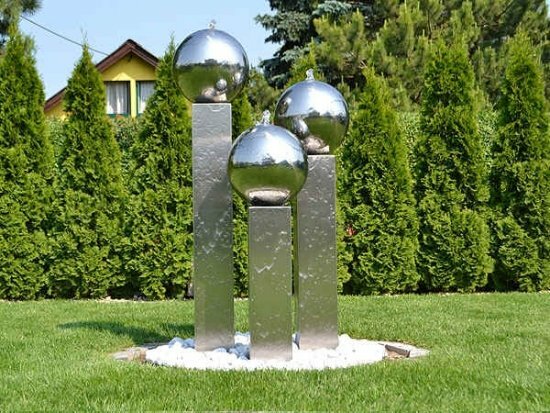 The stainless steel fountains are modern and elegant and weigh much less compared to the natural stone ones for the garden. 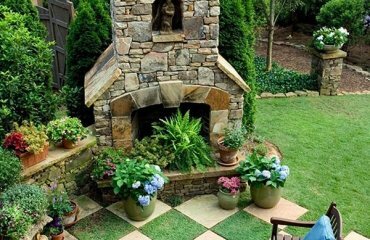 The terracotta fountain or ceramic fountain are robust and classically perfect for the deck or patio. 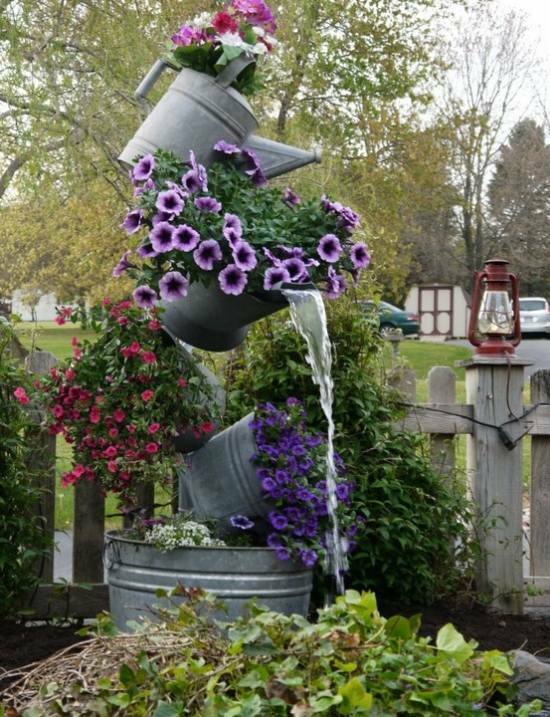 A person without special technical knowledge and without special tools can use a ceramic flower pot and construct such a fountain by himself. 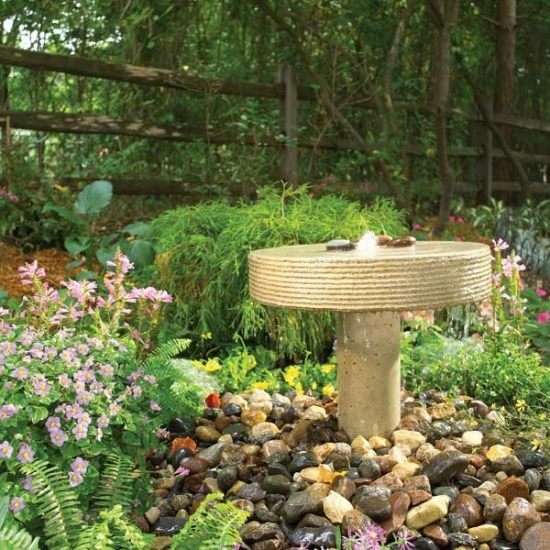 A designer fountain with wheel adds a unique touch to the outdoor area. 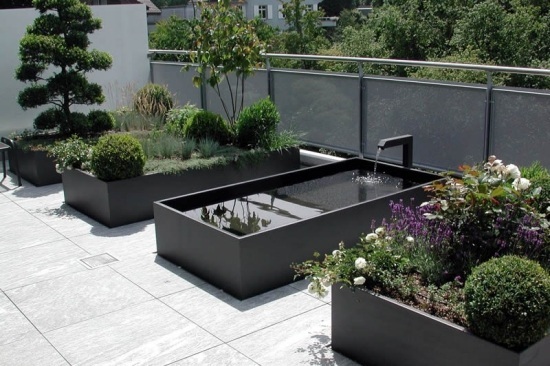 The water features for garden and patio are easy to install – you do not necessarily need to hire a handyman. 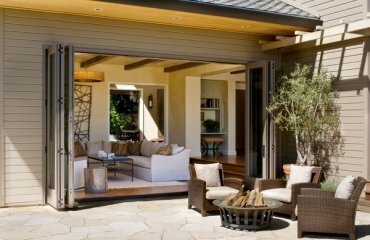 However, you should get informed before the construction or installation of the specific properties of the selected material. 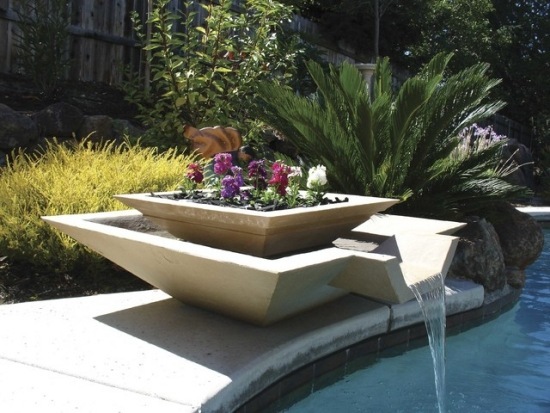 Fountains that must not be buried in the earth are suitable for a room or a patio fountain. 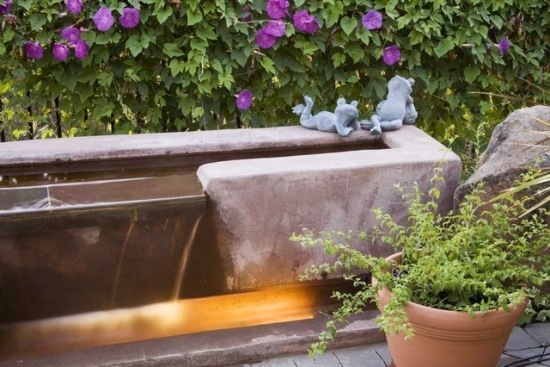 Instead of fountains for outdoor spaces, you could create a pond. 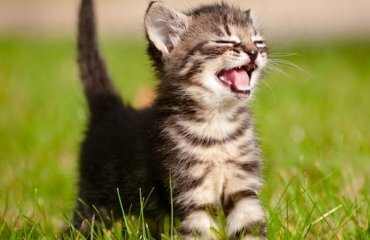 But one which does not need so many liters of water. 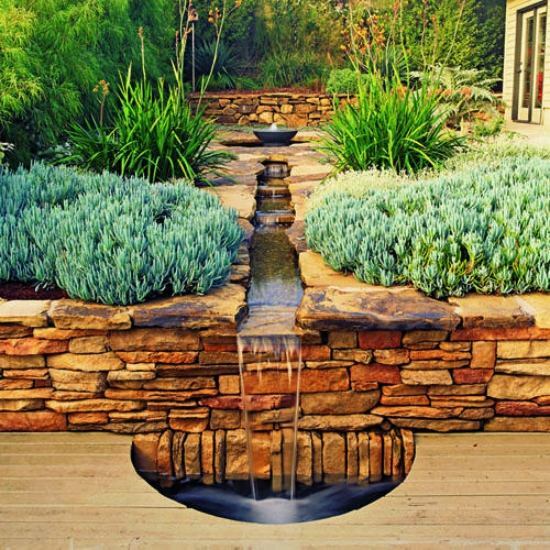 It might look even better if planted with water lilies. 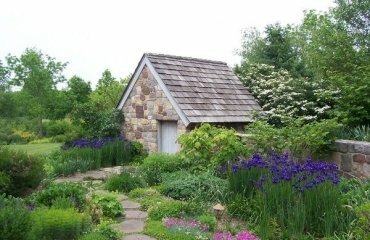 They bloom from spring to autumn in all colors except blue and purple. 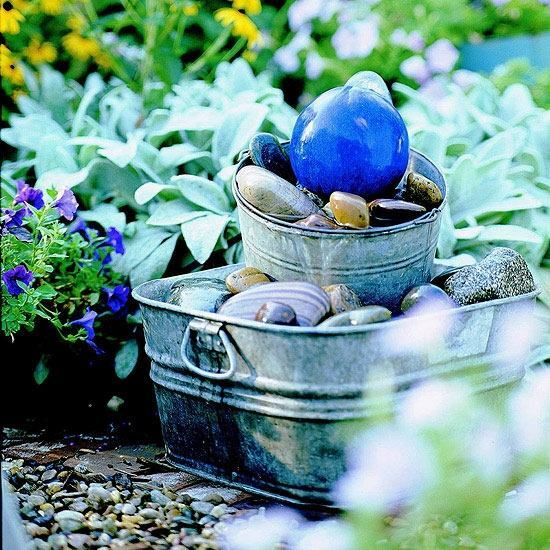 Lilies can not be left in the winter. 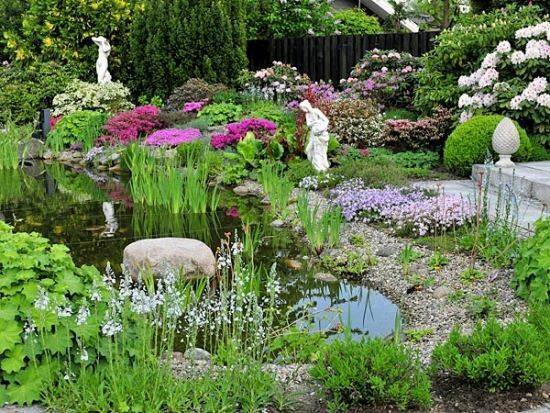 A mini garden with small pond is a good idea for houses with limited outdoor space.